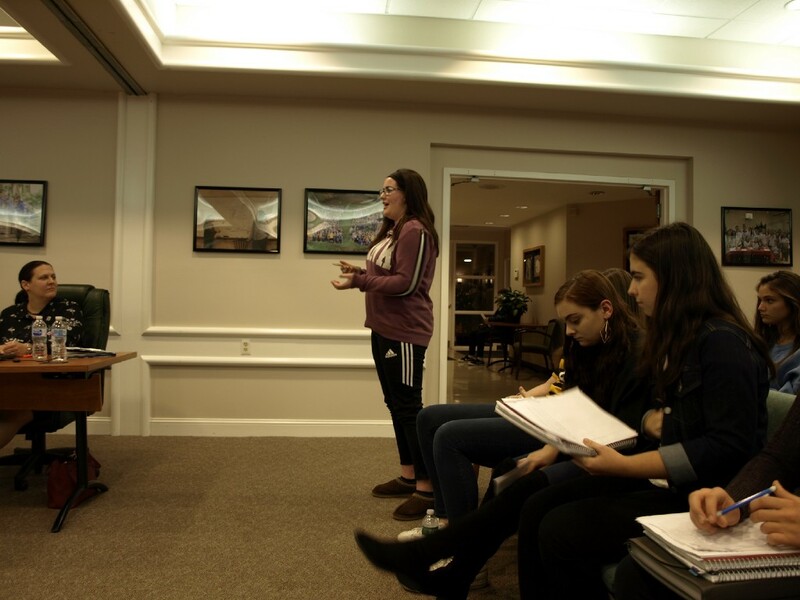 The public comment portion of the meeting was consumed by parents and students alike expressing outrage over recent cuts to activities outside of school hours. On Oct. 18, a student, who later identified herself as Emily, is pictured talking about her, and others’, college admission changes being hurt by the contract dispute (Krystal Nurse/The Sun). 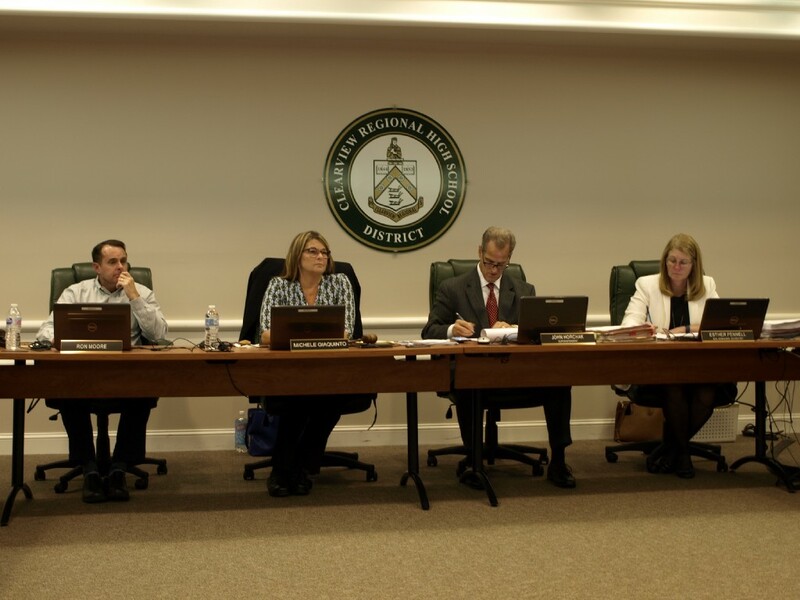 Clearview Regional School District’s Board of Education meeting was heavily attended on Oct. 18 with students, parents and residents voicing their opinions and concerns with an ongoing contract dispute and budget cuts. 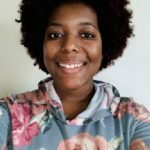 Since the board’s August meeting, students and parents have been speaking out against the number of clubs and activities that have been postponed because the Clearview Education Association (union consisting of staff and faculty in the district) and the board of education are running on an expired contract, according to state records. Several members of the board of education (excluding Karen Vick, who was absent) stated contract negotiations are to not include public involvement or be made public due to sensitive information regarding various salaries. Prior to the opening of public comments, Michele Giaquinto, board president, addressed several rumors that were spreading about the cancellation of three major high school activities. “We’d like to clarify some inaccurate information that has been circulating around social media: The board or administration have not canceled National Honors Society, Mr. Clearview or Hoagies for Hope,” said Giaquinto. Clearview Regional Board of Education members Ron Moore, Michele Giaquinto, John Horchak and Esther Pennell are listening to students during the Oct. 18 meeting (Krystal Nurse/The Sun). Giaquinto added changes of student events need administrative approval and other events are required to have the approval of either the director of student activities and athletics, Mike Vicente, or the high school’s principal, Keith Brook. A proposal was made to allow for faculty to keep National Honors Society, but operate within school hours, which has since then been rejected, according to Giaquinto. Further clarification was provided to attendees that after-school activities were not cancelled by the board or the administration. Slightly more than 100 students and parents signed up to deliver public comments regarding the effect negotiations have had on the students. Some other students stood at the podium stating personal stories of teachers reaching out to help them outside of normal school hours to either make sure they are “OK,” are in need of help to catch up on missed work or to transport the students to different schools for other activities. “Maybe we need to look at the contract and look at what the issues are that are having a big impact on kids, and how can we work in the recognition of the teachers so that we’re not here again in three years (approximately when the next contract expires),” said a Mantua Township resident who identified herself as Laurie. All attending the board meeting were alerted by the board members that a contract offer was extended to the CEA by the board on Oct. 16, but it has not responded. A representative from the Clearview Education Association could not be reached for a comment on Oct. 19. Superintendent John Horchak closed the public comments portion of the meeting by commending the students for their interest and professionalism in speaking before the board about issues impacting them. The board also addressed the district’s self-assessment in conjunction with the Anti-Bullying Bill of Rights in which the district will focus on the climate and safety team and moved the annual assessment presentation from Sherry McAteer, director of curriculum and instruction, to the next meeting. The next scheduled meeting is on Nov. 29 at 7 p.m. in the Public Conference Room of the Administration Building.